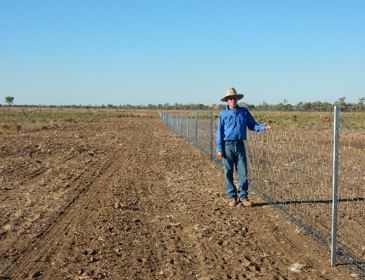 Ilfracombe graziers John and Jane Hain believe the introduction of exclusion fencing to keep wild dogs out of properties has ‘energised’ communities in western Queensland and has the potential to bring people and profitability back to the region. The Hains have fenced almost 17,000 hectares of their property ‘Summer Hill’ against wild dogs. Despite it being early days there have already been noticeable benefits from the fencing, particularly with lambing percentages. Their main tip for other producers, anywhere in Australia, is to start thinking about using exclusion fencing when replacing boundary fencing. It is also much easier financially to justify the cost of building an exclusion fence when your production is unaffected, rather than when lambing percentages are low and dogs are harassing and killing your sheep.